Learning commons provide spaces for group study and various learning activities using materials in the library and computers. Talking is allowed in this area. 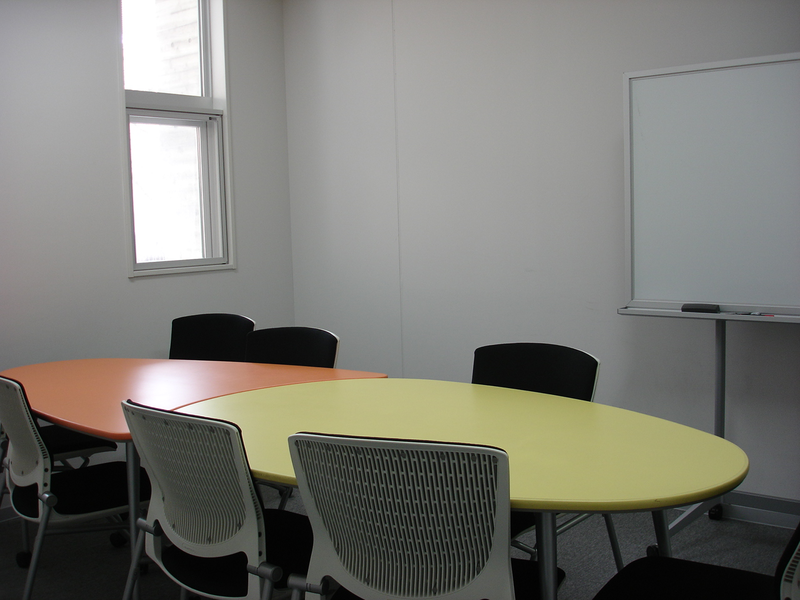 You can move desks and chairs in each space and use a whiteboard and projector freely. Activities like those below are prohibited. Please see 金沢大学附属図書館ラーニング・コモンズ利用内規 (in Japanese) for details. The Medical Library’s Learning Commons consist of three studios, the Book Lounge, the Open Studio (Global Communication Section), and the Group Studio. You can relax here having snacks and drink. 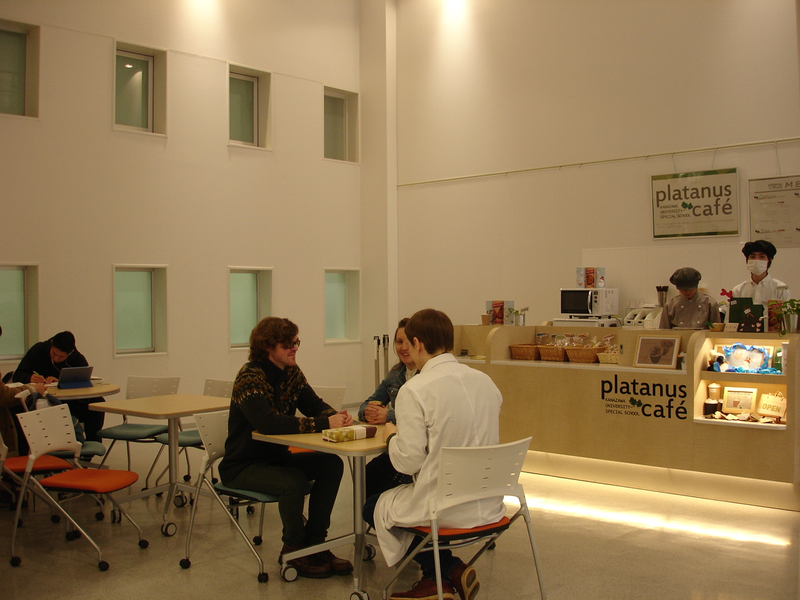 Platunus Café opens on Tuesdays and Thursday, and students from the Affiliated School for Special Needs Education serve coffee. Please submit an application form to the service desk by 5:00 p.m. of the previous day if you want to use a part of the lounge for a class or a seminar. 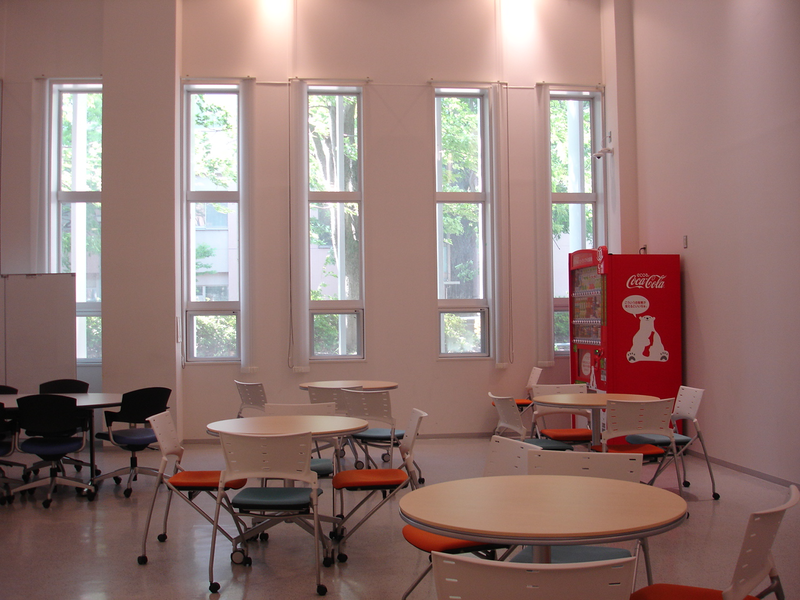 The Open Studio is an open space in which students can study using a whiteboard, a projector, desks, and chairs. 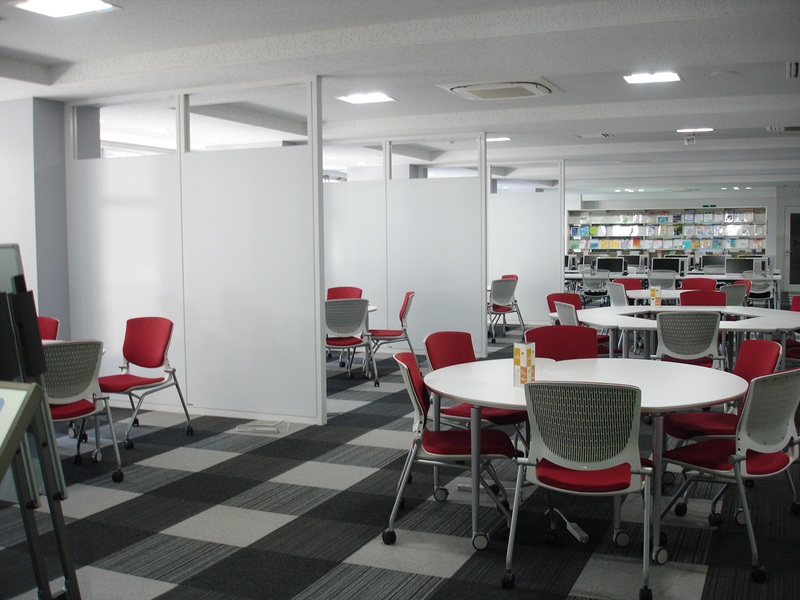 International and domestic students can communicate in the Global Communication Section located inside the studio. Please submit an application form to the service desk by 5:00 p.m. of the previous day if you want to use a part of the studio for a class or a seminar. 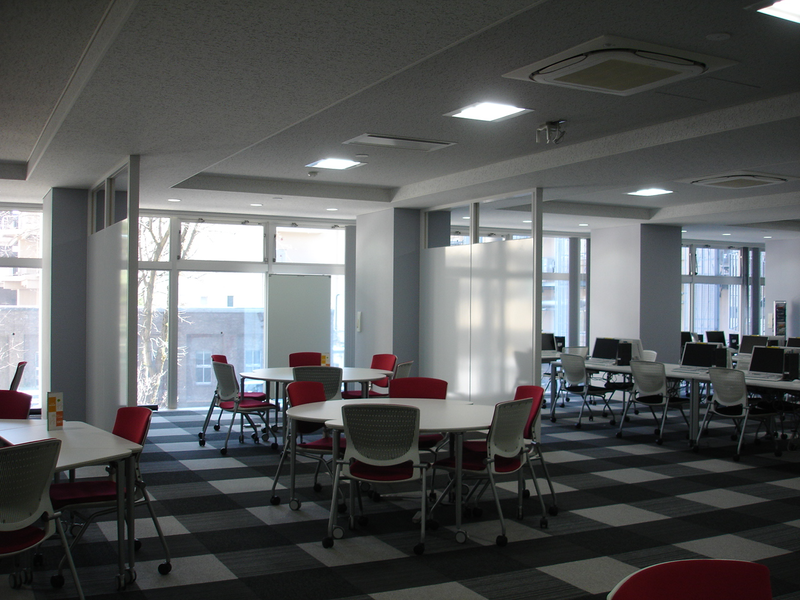 You can use these studios for group study in the form of seminars and workshops. 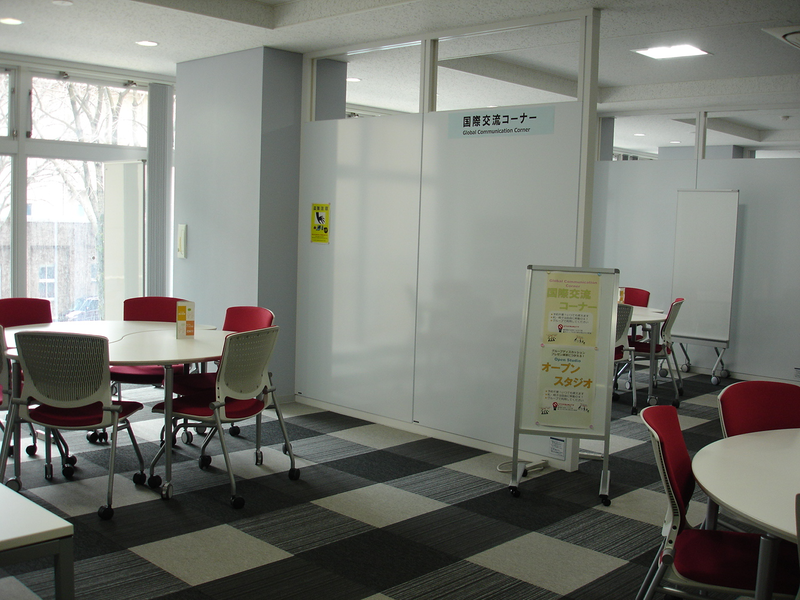 Please make a reservation at the Library Online Service. Group Studios 2, 3 and 4 are reserved for sixth grade students for preparation for the National Medical Practitioners Qualifying Examination from April to February.